This week we crossed a major milestone: the structural engineer’s signoff. 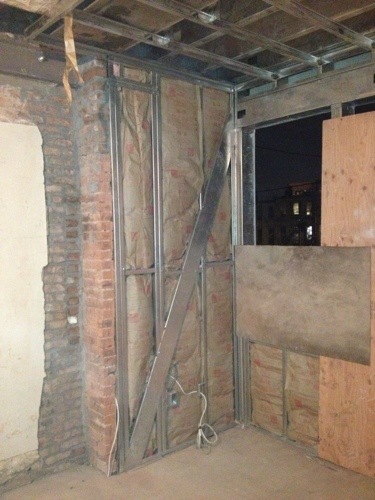 After the structural steel was installed a few week back to hold the 3rd floor masonry wall our engineer was still concerned that the channels required additional reinforcement. 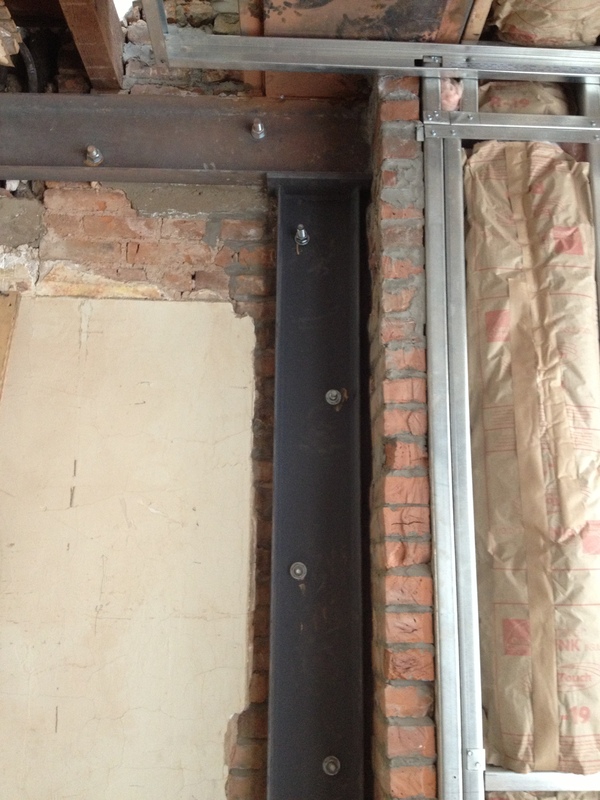 He requested columns be installed directly below the masonry wall and welded to the installed framing. Left kitchen wall before the column reinforcement was installed. It has taken a few weeks to order and install the steel but it’s finally done and the engineer has signed off. 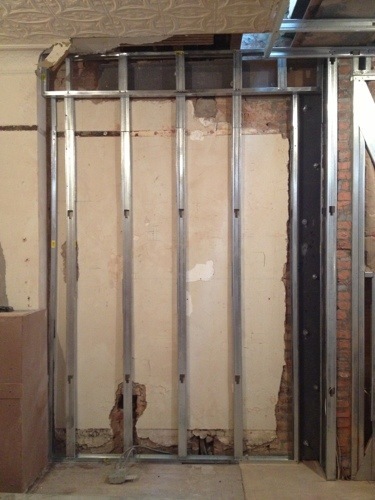 Left kitchen wall with the reinforcing column installed. This is a huge relief and now we can move forward with the work this has held up such as framing and drywalling over these channels. Left kitchen wall with light gage framing for drywall. It also means we can begin to seal up the building with roofing materials and a number of other products our architect recommened. To be completely honest, when it comes to this exterior water proofing stuff we are completely in their hands. Next up is door, flooring and molding research and selection. This entry was posted in April 2013, Uncategorized by Drew. Bookmark the permalink.